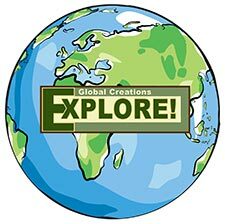 Outdoor News August 3, 2018 - Explore! 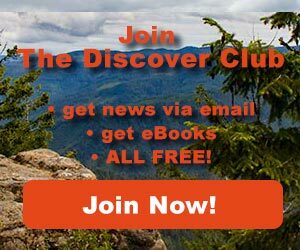 Outdoor News August 3, 2018 - Explore! On Wednesday, Yamaha Motor Corp., USA, announced that Yamaha Outdoor Access Initiative (OAI) had awarded more than $120,000 in funds and equipment to eight grant and scholarship recipients from applications submitted in the fourth quarter of 2017 and first quarter of 2018. The combined funding cycle is highlighted by a wide variety of projects supporting access to trails and riding areas for off-highway vehicles (OHV) and outdoor enthusiasts alike. Find the details, including how to apply for a grant, at the Outdoor Access Initiative website. 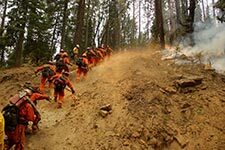 Last Friday, Rep. Jared Huffman (California 2nd District) introduced legislation to guard communities against wildfires, provide local jobs, restore lands impaired by illegal marijuana growing operations, and protect many of Northwest California’s spectacular wild places and pristine streams. 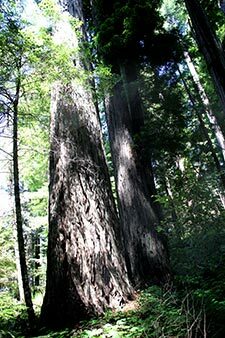 Huffman’s Northwest California Wilderness, Recreation, and Working Forests Act would restore national forest land and fish habitat, stimulate local economies through forest stewardship programs, enhance recreational opportunities including through trails and visitor centers, and reduce fire danger. The legislation would not limit hunting or fishing, close any legally open roads or trails to vehicles, or affect access to or the use of private property. During this process, Rep. Huffman consulted with many stakeholders including: dozens of community leaders, tourism organizations, outdoor recreation groups, restoration specialists, tribes, county supervisors, conservation groups, timber industry, forestry experts, fisheries scientists, fire ecologists, and business owners. 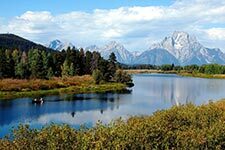 On Wednesday, the Wyoming Division of State Parks, Historic Sites and Trails, through the National Park Service, announced that it is offering recreational funding for projects throughout the State of Wyoming. The Land and Water Conservation Fund (LWCF) program is a 50% reimbursable grant program. To be eligible, the project site must be maintained for public outdoor recreation for perpetuity, and the applicant must be a municipality, county, school district or recreation district. Historically, this program has funded various recreational projects throughout the State including playground equipment and upgrades, sports fields, shooting ranges, and associated facilities. Congress has appropriated approximately $836,000.00 for the State of Wyoming this year. For additional information including applications, Guidelines and deadlines, please visit the website: http://wyoparks.state.wy.us/index.php/learn/recreation-grants or contact Tracy J. Williams at Tracy.Williams@wyo.gov or 307-777-8681. If you aren't in Wyoming, check with the recreation agency in your state for details, as they vary a bit from state to state. On Wednesday, Mammoth Lakes Recreation announced that the group is going to battle. The opponent: the Los Angeles Department of Water and Power. This past March, the agency notified leaseholders in Long and Little Round Valleys, that it would be eliminating their irrigation allotments. Historically leaseholders have been allotted up to 5 acre feet per acre annually for irrigation. The leaseholders, who rely on the water to irrigate pastureland, also play a key role in maintaining wetland habitat, which in turn supports a vibrant ecosystem, including brooding grounds for the bi-state sage grouse – a California species of special concern. 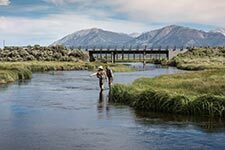 Long Valley also supports a variety of outdoor recreation – most notably, two world-class fisheries: Hot Creek and the Upper Owens River. Local fishing guides and tackle shop owners have expressed concern over how the loss of wetland habitat will affect the fishing resources in the area. Mammoth Lakes Recreation has written letters to Los Angeles Mayor Eric Garcetti and Los Angeles Department of Water and Power Board Chair Mel Levine, outlining its concerns and asking for the immediate reinstatement of the historical water allotments to lessees until a full environmental study on the land can be completed. For more information on Mammoth Lakes Recreation’s “Keep Long Valley Green” campaign, go to their website: www.mammothlakesrecreation.org. On Tuesday, Yosemite National Park announced that Yosemite Valley, Wawona Road, the Mariposa Grove of Giant Sequoias, the Merced Grove of Giant Sequoias, Hetch Hetchy, and other areas will remain closed to all visitors through Sunday, August 5, 2018 due to continued unhealthy smoke impacts and ongoing firefighting operations. The park will continue to assess conditions and reevaluate all closures on Sunday, August 5. As of last evening the fire was over 69.000 acres and 41% contained. Save up to 50% at the Semi-Anual sale AND get an Extra 20% Off Your Favorite Brands at Backcountry.com. Deal ends Sunday! 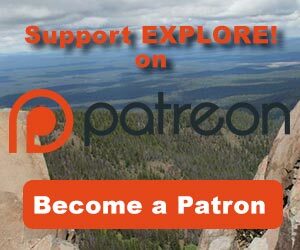 Start your Cairn subscription with a hammock! Use HAMMOCK at checkout. End of Summer Sale at Cabela's.com – Save up to 40% Off and get FREE shipping with orders over $50! Bikepacking is a great way to explore the outdoors. You can explore on paved roads, gravel roads and even single track trails. In this week's video 14 friends, including a couple of videographers, take on a four-day adventure in the mountains of central Idaho. Enjoy!